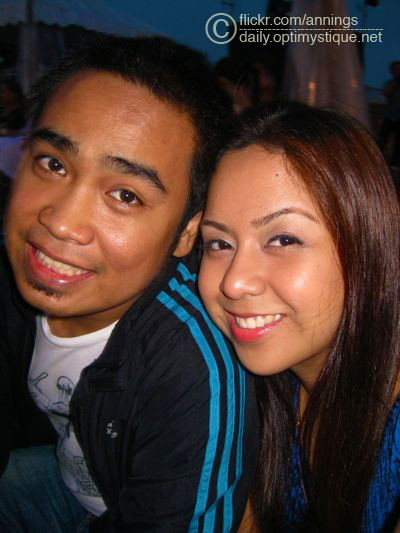 The main reason why I maintain this blog is to be able to jot down experiences that, a few years down the road, I would still love to look back on and remember. 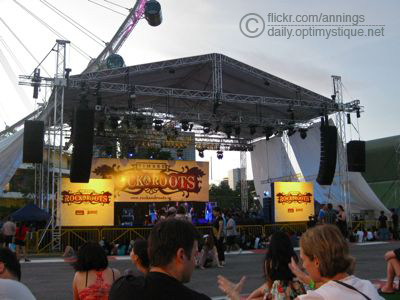 One event that’s quite note-worthy was watching The Fray live at Timbre Rock & Roots last month. 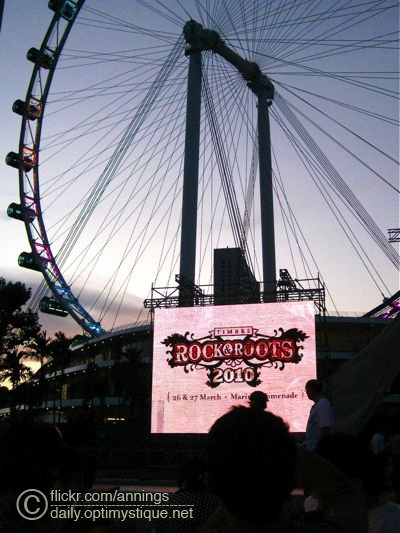 The music festival was held at the F1 tracks at Marina Promenade, with the breathtaking view of the Singapore Flyer as its backdrop. The whole festival started as early as five in the afternoon, but knowing that The Fray was scheduled to play last, we arrived at seven. The open-air setting of the festival made the wait quite enjoyable. Other bands played, and we enjoyed their tunes as we sat ourselves down on the ground (or more technically, the F1 pit) and sipped our beers with the rest of the crowd. Just before The Fray went on, we managed to station ourselves right behind the metal barricades towards the left of the stage. We didn’t have a central view of the whole performance (the reason why I didn’t get to take photos of some of the band members), but our spot, being right in front of the crowd, gave us a pretty clear visual of the concert. Plus, our location gave me a thirty-second close encounter with Isaac Slade (the band’s singer) when, before ending their set, he walked down the stage and stood on the metal barricade right in front of me!